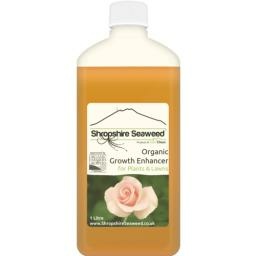 Shropshire Seaweed Organic Growth Enhancer is the UK's strongest organic liquid seaweed fertilizer. 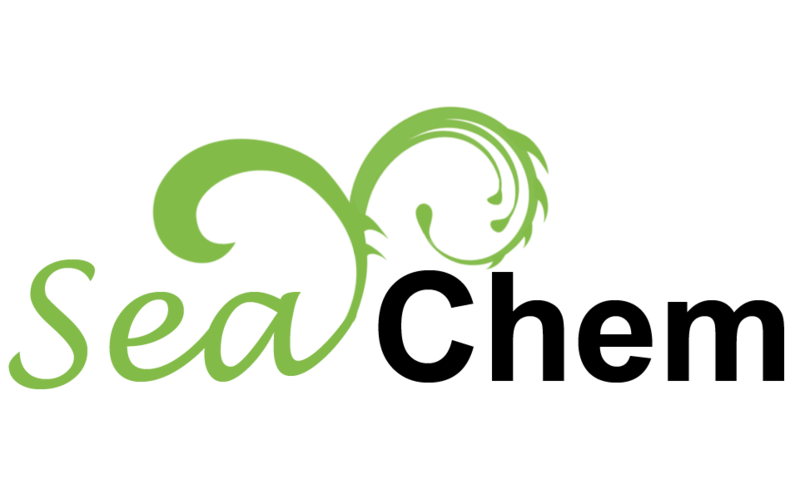 Regular application of Shropshire Seaweed is proven to increase vegetable and fruit yields and promote healthier plants, fuller blooms and stronger lawns. For centuries the Ascophyllum nodosum sea kelp has been used as a fertilizer in coastal areas of the British Isles because of its unbeatable range of amino acids, carbohydrates and growth hormones. 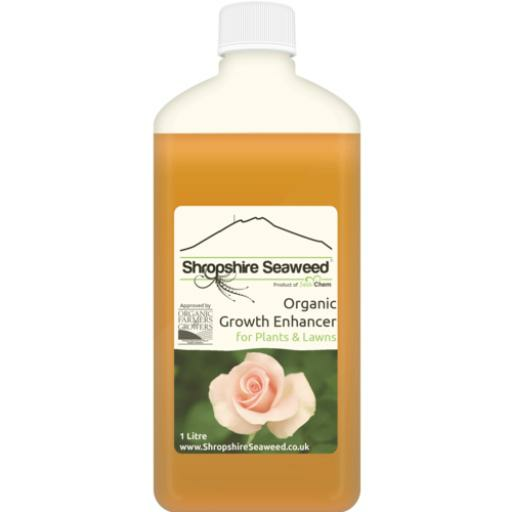 Shropshire Seaweed adds no chemicals or preservatives to this excellent, sustainable resource. Instead our kelp is delicately cold-pressed into a beautiful golden liquid which has become a staple feed for organic gardeners across the UK. In recent years, the potency of this versatile fertilizer - and the outstanding results - has got growers coming back season after season. Please see our special Application Notes page for more information.